Looking for ways to cut your budget? 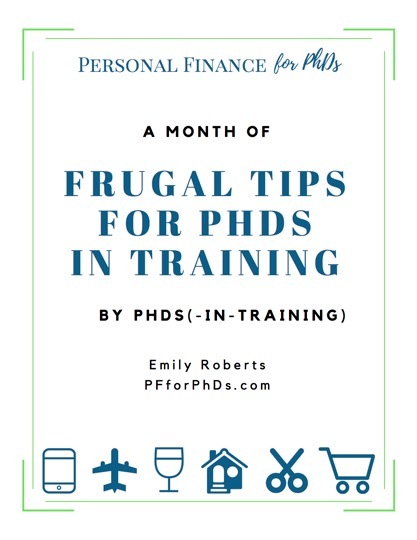 This PDF lists the 31 frugal tips featured in this video series with links to further resources for each plus bonus tips by several PhD contributors. You'll also receive 1-2 emails per week to help you make the most of your money during your PhD training. © Copyright 2019 Personal Finance for PhDs. All rights reserved.